Fremont County and Royal Gorge area businesses say THANK YOU with cold, hard cash! windows of Money Day locations. Register today. Go to any Money Day Location to get a registration card (or register online). 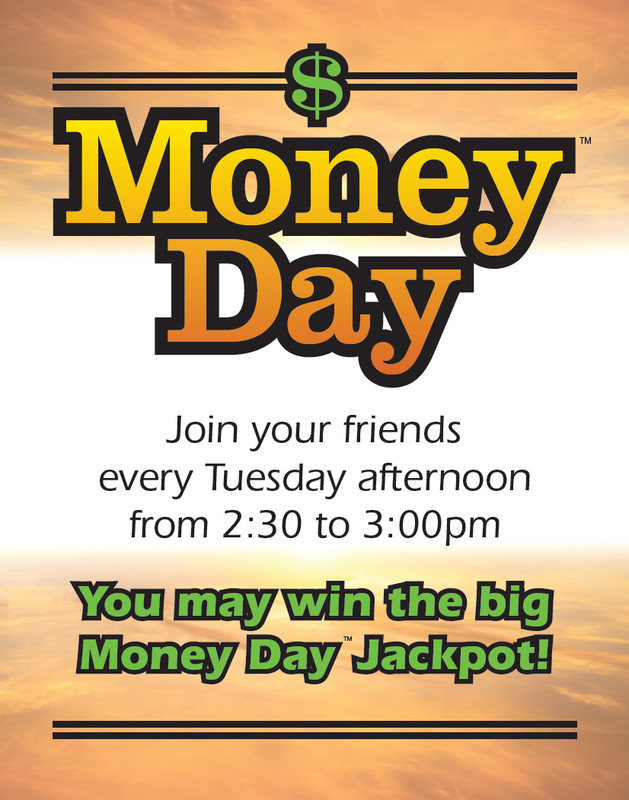 Go to a Money Day location on Tuesdays between 2:30-3:00pm. Listen for your name to be announced during the Money Day radio show. If you hear your name, you'll have 60 seconds to call the station at 719-276-0331 to win! You must be at least 18 years old to participate. Owners and full-time employees of Money Day locations, and their families, are not eligible to register for Money Day.